Family Dog Breeds – Staffordshire Bull Terrier for You. In this post, I am going to share information about the Staffordshire dog with you. 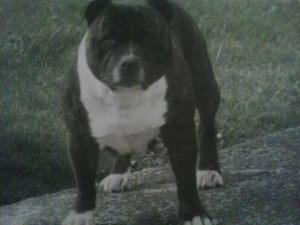 There has been good and bad press about this breed and I hope by reading this article you will get a better understanding of the Staffordshire. The “Staffie” – Will he be a dog breed you might choose? Choosing the right dog for you and your family if you have one can be difficult as there are a lot a family dog breeds, and there has been a lot of press when it comes to the Stafford Bull terrier, good and bad. 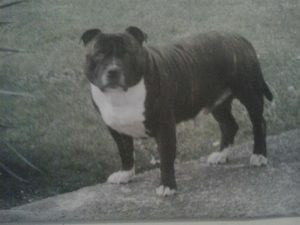 Staffordshire bull terriers are a medium size dog, short coated and may be considered in the pit bull type. They are a very muscular dog, they have a wide mouth and dark round eyes with a short coat and their ears are small. They have a scissor bite with the top incisors slightly overlapping the bottom incisors. Standing at around 39- 41 cm and weighing around 17 kg for the male and 15 for the females. I’m going to share some photos and videos of a friend of mine, Tama who is a family pet for some friends of mine and has been with them since he was a pup. He is one of the most gentle, kind, playful, intelligent dogs I have met. He is wonderful with children and adults and loves everyone, although children are his favorite. What makes a good “Staffie”? It comes down to how they are treated by you. You need a firm, gentle approach with your new pup and he/she will learn quickly. Absolutely no aggression with this dog. You will pay a heavy price for this as these dogs need love, boundaries, fun and kind consistent training balanced with lots of play time. The Staffordshire Bull Terrier has had bad press along with a lot of other dog breeds and I feel the owner has to take 90% blame for this. Staffordshire Bull Terriers are loyal and love there owners unconditionally so it is imperative you as the owner do the same. Yes, there will be mishaps that happen however isn’t in fact, when raising children mishaps can happen and your “staffie” pup is no exception. it’s all part of the learning process. Fun times and memories – years of wonderful moments. Family dog breeds like the “Staffie” can be the most amazing pet you will ever own and your dog will be part of your life for around 12 years and if you train them correctly you will have the best companion you could ever wish for. “Staffie’s” make amazing friends. 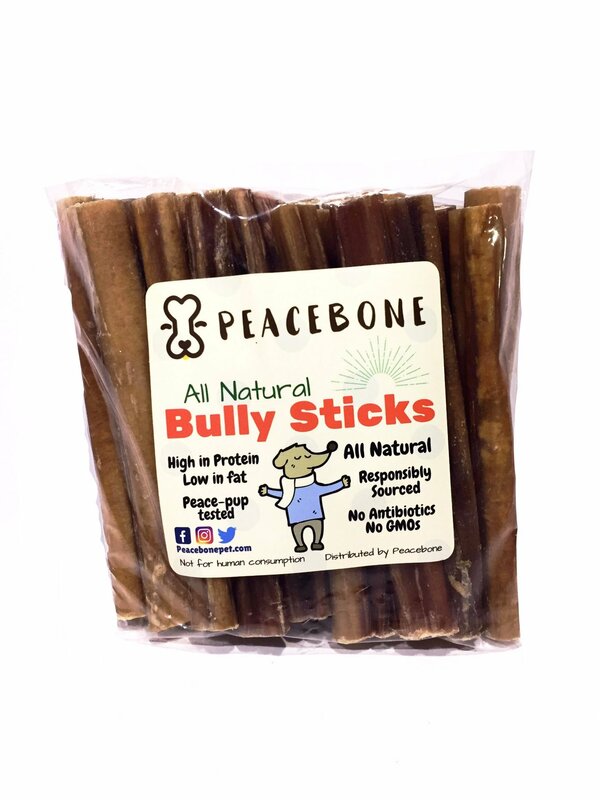 They can go with you wherever you go and because they are really social if socialized from a pup, people will be drawn to them because of there personalities. Fun, please, a walk, please, a bath!! Yes, please. They love it all. Puppy school can be a great start for you and your puppy if you feel you lack training knowledge. It will cost you a fee and it is well worth the investment to have qualified people work with you and your “Staffie” to ensure good behavior is learned. Grooming should be regular as with all dogs and your “Staffie” will love the attention. Time to Decide- what color will it be? 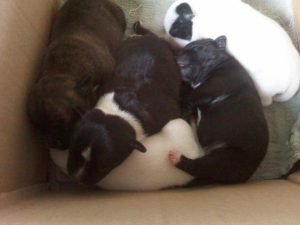 Stafford Bull Terriers are brindle, black, red, fawn, blue, white, or any mix of these colors with white.